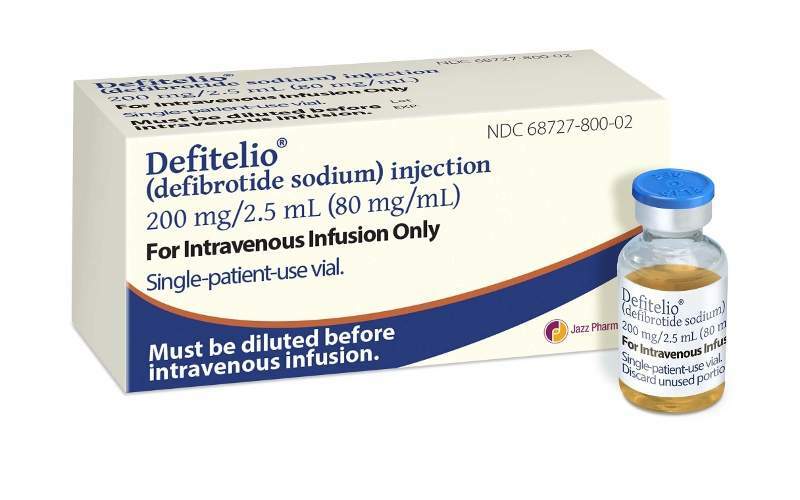 Defitelio (defibrotide sodium) is an injectable drug developed by Jazz Pharmaceuticals, for the treatment of hepatic veno-occlusive disease (VOD) Image courtesy of Jazz Pharmaceuticals. 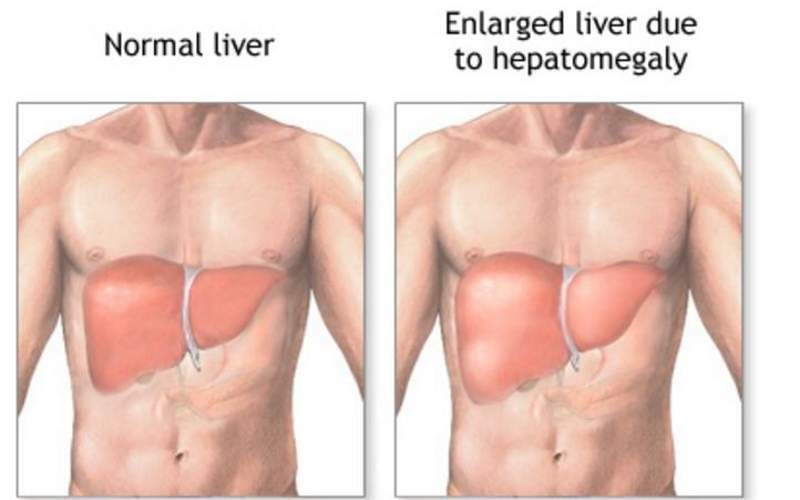 Hepatic veno-occlusive disease (VOD) is a fatal form of hepatic injury. Image courtesy of NIH. The disease is often characterised by symptoms such as sudden weight gain, liver enlargement (hepatomegaly), and increased bilirubin. Image courtesy of NIH. Jazz Pharmaceuticals submitted the new drug application (NDA) for Defitelio (defibrotide sodium) to the US Food and Drug Administration (FDA) on 30 July 2015. The FDA approved Defitelio as a treatment for hepatic VOD on 30 March 2016. The European Commission has granted marketing authorisation for Defitelio, which is valid throughout the European Union, on 18 October 2013. Hepatic veno-occlusive disease (VOD), also known as sinusoidal obstruction syndrome (SOS), is a fatal form of hepatic injury and chronic complication associated with HSCT. It is a condition in which sinusoidal endothelial cells of the liver are affected within the first 21 days following HSCT. Hepatic VOD occurs in 9%-14% of HSCT patients, of which 30-50% of cases become life threatening. VOD is also associated with renal or pulmonary dysfunction, usually referred to as multiorgan dysfunction (MOD), which can lead to a mortality rate of 84% of patients. The disease is often characterised by symptoms such as sudden weight gain, liver enlargement (hepatomegaly) and increased bilirubin. Chronic hepatic VOD is also associated with fatigue and abdominal swelling, along with symptoms of portal hypertension, edema, ascites, varices, hepatic encephalopathy or muscle wasting and weakness. Defitelio (defibrotide sodium) is an anti-thrombotic, thrombolytic and fibrinolytic polydeoxyribonucleotide, which increases the hydrolysis of fibrin clots by enhancing the enzymatic activity of plasmin and helps in reduction of expression of adhesion molecules on endothelial cells by releasing prostaglandin 12. The exact mechanism of action of the drug is not known, but it is believed to protect the endothelial cells from damage caused by chemotherapy, tumour necrosis factor-α (TNF- α), serum starvation and perfusion. 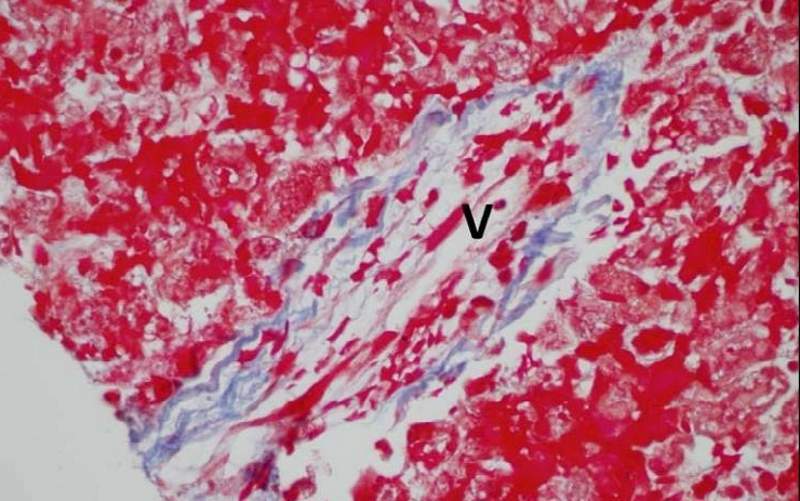 Defibrotide sodium increases tissue plasminogen activator (t-PA0 and thrombomodulin) expression and decreases von Willebrand factor (vWF) and plasminogen activator inhibitor-1(PAI-1) expression to reduce endothelial cell activation and improve the endothelial cell mediated fibrinolysis. The US FDA’s approval of Defitelio (defibrotide sodium) was based on the results obtained from three clinical studies (phase 2, phase 3 and expanded access studies) conducted on patients with Hepatic VOD with renal or pulmonary dysfunction. The subjects were treated with 6.25mg/kg of Defitelio every six hours, given as a two-hour intravenous infusion. "The FDA approved Defitelio as a treatment for hepatic VOD on 30 March 2016." The phase 2 study enrolled 75 adult and paediatric hepatic VOD patients with multi-organ dysfunction (renal or pulmonary or both), who were treated with Defitelio (defibrotide sodium) for a treatment duration of 14 days. The survival rate observed during the trial more than 100 days after HSCT was 44%. The phase 3 study enrolled 102 patients with hepatic VOD. The drug was administered to the treatment group for minimum of 21 days and the patients in the group were not allowed to receive any concomitant medication such as heparin, warfarin or alteplase to avoid the risk of bleeding. The survival rate observed at +100 days after HSCT was 38%. The expanded access study, which enrolled 351 hepatic VOD patients with renal or pulmonary dysfunction, recorded a survival rate of 45% at +100 days after HSCT. The safety and efficacy of Defitelio was evaluated in a study that enrolled 176 patients in the clinical development programme for the treatment of VOD. The most common adverse events during the trial were hypotension (low blood pressure), diarrhoea, vomiting, nausea and epistaxis, whereas the most common serious adverse reaction was pulmonary alveolar haemorrhage.